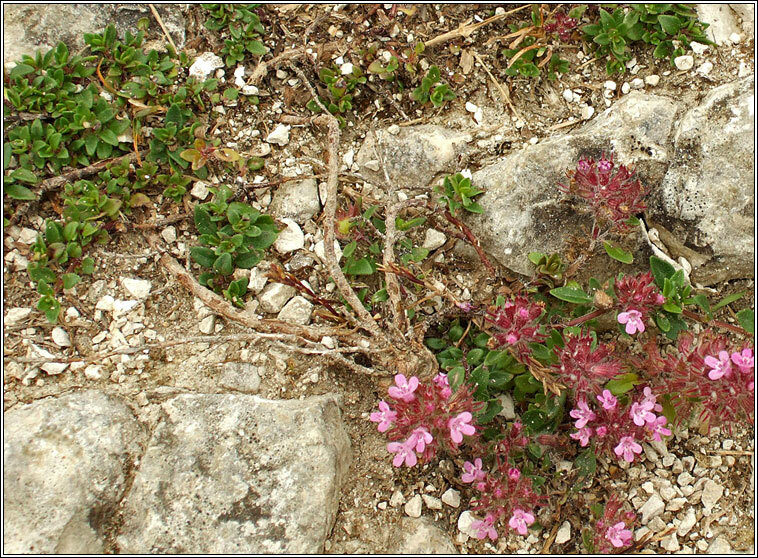 Habitat: Dry calcareous grasslands, rocks, heaths, dunes and mountainous areas. Common in suitable habitats in most of Britain except East Anglia. Low-growing plant that forms dense, slightly aromatic mats. 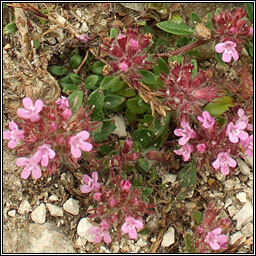 Small pink-purple flowers on erect stems above untoothed, evergreen leaves. Spreading growth, height 3-7cm.